Posted May 4, 2018 by Aaron Cox & filed under Real Estate. Detroit city officials are employing new strategies in an effort to protect affordable housing availability in neighborhoods throughout the city. 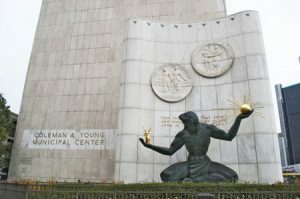 Earlier this year, for example, the director of Detroit’s Housing and Revitalization Department announced that the city would offer special tax incentives to developers who include affordable housing units in their construction and rehab projects. According to Mayor Duggan, this fund will allow the city to preserve 10,000 existing affordable housing units in the city, and create another 2,000 over the next five years. The city’s efforts will focus on multi-family housing in 10 neighborhoods across Detroit, particularly in areas where real estate prices and rental fees have begun trending upward. This strategy is designed primarily to help low-income families who remained in Detroit through the worst years of the city’s prolonged economic slump. The affordable housing fund is still in the early stages of development, but the city has reportedly already identified $50 million in federal grants and other available funds. City officials hope to raise an additional $50 million from philanthropic organizations, and the remaining $150 million is expected to be funded by low-cost loans from partner financial institutions.